RESPONDING TO HARRY KROTO’S BRILLIANT RENOWNED ACADEMICS!! Part 149 FF Sir Bertrand Russell(Bertrand Russell in 1920 on BBC) On November 21, 2014 I received a letter from Nobel Laureate Harry Kroto and it said:…Please click on this URL http://vimeo.com/26991975and you will hear what far smarter people than I have to say on this matter. I agree with them.Harry Kroto I have attempted to respond to all of Dr. Kroto’s friends arguments and I have posted my responses one per week for over a year now. Here are some of my earlier posts:Arif Ahmed, Sir David Attenborough, Mark Balaguer, Horace Barlow, Michael Bate, Patricia Churchland, Aaron Ciechanover, Noam Chomsky,Alan Dershowitz, Hubert Dreyfus, Bart Ehrman, Stephan Feuchtwang, David Friend, Riccardo Giacconi, Ivar Giaever , Roy Glauber, Rebecca Goldstein, David J. Gross, Brian Greene, Susan Greenfield, Stephen F Gudeman, Alan Guth, Jonathan Haidt, Theodor W. Hänsch, Brian Harrison, Hermann Hauser, Roald Hoffmann, Bruce Hood, Herbert Huppert, Gareth Stedman Jones, Steve Jones, Shelly Kagan, Michio Kaku, Stuart Kauffman, Lawrence Krauss, Harry Kroto, George Lakoff, Elizabeth Loftus, Alan Macfarlane, Peter Millican, Marvin Minsky, Leonard Mlodinow, Yujin Nagasawa, Alva Noe, Douglas Osheroff, Jonathan Parry, Saul Perlmutter, Herman Philipse, Carolyn Porco, Robert M. Price, Lisa Randall, Lord Martin Rees, Oliver Sacks, John Searle, Marcus du Sautoy, Simon Schaffer, J. L. Schellenberg, Lee Silver, Peter Singer, Walter Sinnott-Armstrong, Ronald de Sousa, Victor Stenger, Barry Supple, Leonard Susskind, Raymond Tallis, Neil deGrasse Tyson, .Alexander Vilenkin, Sir John Walker, Frank Wilczek, Steven Weinberg, and Lewis Wolpert,In the first video below in the 14th clip in this series are his words and I will be responding to them in the next few weeks since Sir Bertrand Russell is probably the most quoted skeptic of our time, unless it was someone like Carl Sagan or Antony Flew. Russell begins by defining what he means by the term Christian and sets out to explain why he does not “believe in God and in immortality” and why he does not “think that Christ was the best and wisest of men”, the two things he identifies as “essential to anybody calling himself a Christian”. He considers a number of logicalarguments for the existence of God and goes into specifics about Christian theology. He argues ad absurdum against the “argument from design“, and favors Darwin’s theories. Russell also expresses doubt over the historical existence of Jesus and questions the morality of religion, which is, in his view, predominantly based on fear. The first German edition was published in 1932 by Kreis der Freunde monistischen Schrifttums, a monist association in Dresden inspired by Ernst Haeckel. In 1957 Paul Edwardspreferred Russell over the then more trendy Ludwig Wittgenstein and published the essay and further texts referring to the background of The Bertrand Russell Case. Russell had been denied a professorship in New York for his political and secular views and his tolerance for the gay till graduation version of homosexuality. Some countries banned the book, including South Africa. The enhanced version has been republished in various editions since the 1960s. The New York Public Library listed it among the most influential books of the 20th century.The title has inspired other books in a snowclone fashion. William E. Connolly‘s Why I Am Not a Secularist (2000) deals directly with various aspects of Russell’s argument. He sees Russell’s approach as an attempt to exchange a previous center of gravity in public life, based on a Jewish-Christian heritage, with another that is secular-minded. Connolly doubts this exchange of one one-fits-all authoritative approach to public ethics and public reason for a new one that all “reasonable” citizens should abide by. He asks instead for new forms of public engagement that allow for more and more varied perspectives to interact (and restrain) each other. 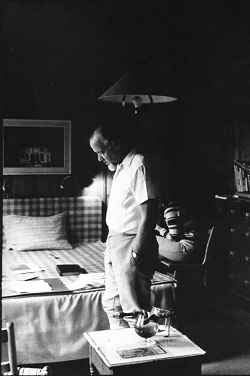 He counts on various important philosophers, from Nietzsche, Freud, and Judith Butler to Michael J. Shapiro and Michel Foucault to have provided such views. 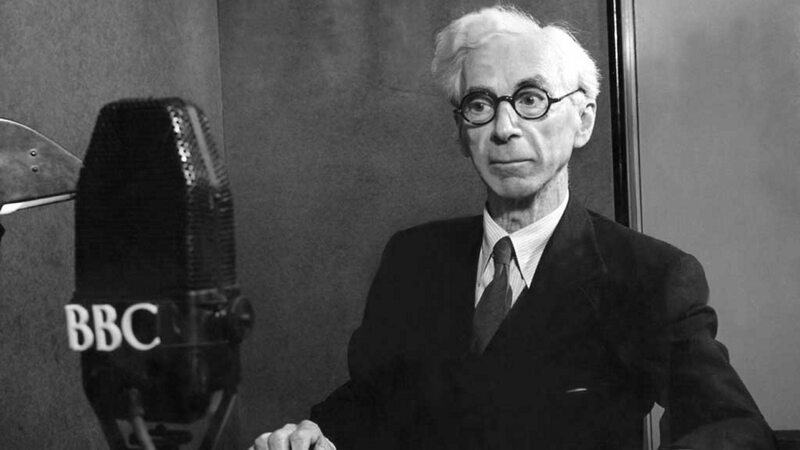 Connolly argues that Russell-style secularism, although admirable in its values, may undercut its own goals of freedom and diversity as a result of a narrow and intolerant understanding of the public sphere and reason.Bertrand Russell died on February 2, 1970.
relationship between the two will be settled, to the reader’s satisfaction, in a paper as brief as this one. does not refer to a particular color in a scheme of colors, but is intended to convey notions of communism. It would be improper to say that “red” cannot be used in such a way. trust…reliance upon, not mere credence” (1940). Both include elements of reliance and trust. believe it will rain tomorrow.” This sort of belief is one in which I merely hold an opinion about something. this sense has little to do with biblical faith. 1. Arguments have been offered in its support. 2. It was encountered (in a book, paper, etc.) and nothing was spoken against it. 4. The new belief fits well by our prior beliefs. 5. There may be penalties for not accepting a belief (ostracism, disappointing our parents, torture). 6. There may be positive rewards for accepting a belief. 7. The belief may be accepted because it gratifies us or answers a psychological need. produced by inadequate or insufficient reasons. See Samuel Thompson’s, A Modern Philosophy of Religion, 1955, p. 44 for this kind of reasoning. into action. Faith is decision (1955, p. 74). not say they trusted in Jesus (cf. James 2:18-19). on their belief. Note the words indicating action—e.g., “prepared” (vs. 7) and “obeyed” (vs. 8). true for which there is not sufficient evidence. This claim is disputed by Christian and non-Christian alike. begins where evidence begins, and ends where evidence ends. Faith begins after the evidence ends. is a god (1964, p. 121). This may be the view of faith for some, but it is not biblical faith. Biblical faith is a reasonable faith. which the evidence warrants” (1945, p. 816). in question is pointless” (Davis, 1978, p. 19). The Bible (a body of factual information about God and His will for man) constitutes adequate evidence. have crucified, both Lord and Christ” (Acts 2:36). met the temptations of the devil with an “it is written.” The second temptation is particularly interesting. the Christian faith. Examine and study carefully 1 Peter 3:15, 1 Thessalonians 5:21, and 1 John 4:1.
or seeing for themselves) because of the evidence of the Samaritan woman’s testimony (John 4:39). heard Him with their own ears. (i.e., certain) that God would do what He had promised. God and acted on what God said. faith is unfounded. For example, a child may be taught by his parents that baptism is essential to salvation. reliable and no longer a matter of doubt. popular view in contemporary society. not them which had seen him after he was risen” (Mark 16:14). Bible as unfaltering. If we can do this, then we can both believe and know the truth. same truth could not be both believed and known via natural reason by the same person at the same time. wish to believe what he can know and does not pretend to know what can only be believed. Efforts to take sides with faith or knowledge still (and likely will) continue—with unfortunate consequences. knowledge which does not fit their own scheme of faith (1955, pp. 76-77). The Bible clearly teaches in different ways that faith and knowledge are not to be set in contradistinction. said to Thomas: “Blessed are they that have not seen, and yet have believed” (John 20:29, emp. added). faith where there is no knowledge. see Thompson, 1955, pp. 76-79 for further remarks on this. of the world” (John 4:41-42). believe and know things that cannot be seen, as did the Samaritans who believed at first without seeing. and believe what the Scriptures teach. me there was no God formed, neither shall there be after me” (Isaiah 43:10). believe and know the truth” (1 Timothy 4:3). art that Christ, the Son of the living (John 6:69; cf. 4:42). (e) Paul said, “I know whom I have believed” (2 Timothy 1:12). knowledge. According to Romans 10:17, faith comes after men have a knowledge of the Word of God. “knowing assuredly” that Jesus was both Lord and Christ (Acts 2:22-36). Davis, Stephen T. (1978), Faith, Skepticism, and Evidence (Cranbury, NJ: Associated University). Frye and Levi (1941), Rational Belief (New York: Harcourt and Brace). Kaufmann, Walter (1958), Critique of Religion and Philosophy (Princeton, NJ: Princeton University Press). Robinson, Richard (1964), An Atheist’s Values (Oxford: Basil Blackwell). Russell, Bertrand (1945), A History of Western Philosophy (New York: Simon & Schuster). Schaeffer, Francis (1968), The God Who Is There (Downer’s Grove, IL: Inter-Varsity Press). Thompson, Samuel (1955), A Modern Philosophy of Religion (Chicago, IL: Regnery).